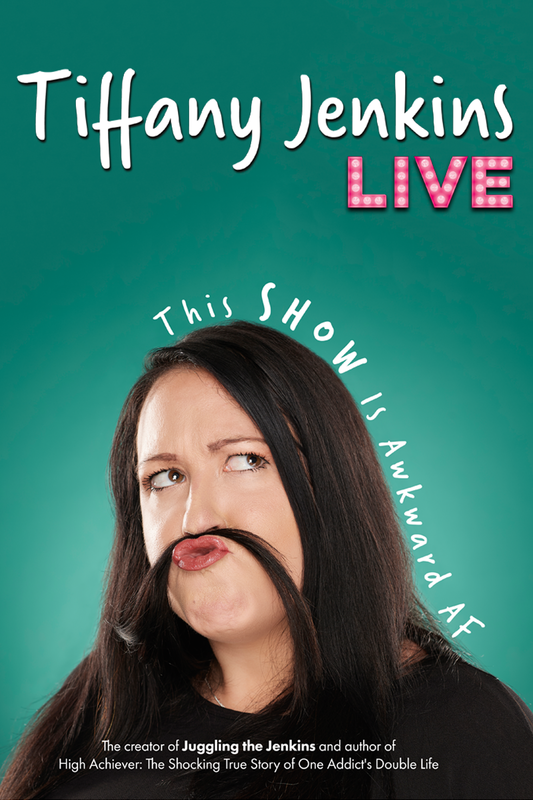 TAMPA, Fla. (January 14, 2019) – Tampa Theatre and AEG Presents are proud to announce that Tiffany Jenkins will bring her This Show Is Awkward AF tour LIVE to Tampa Theatre’s historic stage at 7:30 p.m. Sunday, March 24. Tiffany Jenkins is a wife, mother, author, content creator and recovering addict. Best known for her blog, Juggling the Jenkins, and hilarious viral Facebook videos, Tiffany speaks shamelessly, openly and honestly about her past and addiction, as well as her struggles with depression and anxiety. Tiffany’s relatability has contributed to her rapidly growing fanbase, with 2.4 million followers on social media and more than 200 million video views to date, proving that her honesty and wit is quickly propelling her beyond a viral sensation to a true inspiration for women and men alike. Tiffany’s story of hope, which she chronicled in her self-published book, High Achiever: The True Story of One Addict’s Double Life, has had such an overwhelming response that she is ready to tackle her next life goal – traveling the globe, meeting her supporters and making as many people laugh as possible. Tiffany Jenkins: This Show Is Awkward AF is an opportunity for her supporters to spend some quality time with Tiffany as she shares stories not previously covered in her book and blog, as well as hang out and answer audience questions in a candid evening full of humor, compassion, and friends. Tickets range from $28.50-$42.50 (plus applicable service fees) and will go on sale at 10:00 a.m. this Friday, Jan. 18, at the Tampa Theatre Box Office, located at 711 N. Franklin Street, and online at TampaTheatre.org. A limited number of VIP tickets will also be available for $75.00 (plus fees), which include premium seating in the first five rows and an exclusive meet & greet with Jenkins.